Interested in giving back to the cycling community? Ready to get active in cycling advocacy? Anyone can join Sun Prairie Bicycle Advocacy Group. There are currently no fees. There are currently no requirements for your time. There are no paid positions. All we ask is that you provide your thoughts on our projects, volunteer when possible and be considerate of those who are already volunteering and participating in our committees. Reach out to a project leader regarding open tasks. See our Events Calendar page for upcoming activities. Not already a subscriber, just click the Like button near the top of that Facebook page. 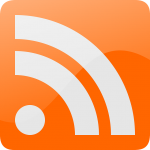 Subscribe to our RSS Feed to have our post sent directly to your email.